One of the advantages of not working is that I get to experiment with different culinary techniques. I had received an iron skillet for a wedding present, but had never used it until last week. A few days ago I seasoned my skillet for the first time and it went a lot smoother than I thought. So for a fun experiment, I thought that this week I would try to cook every day using my iron skillet. 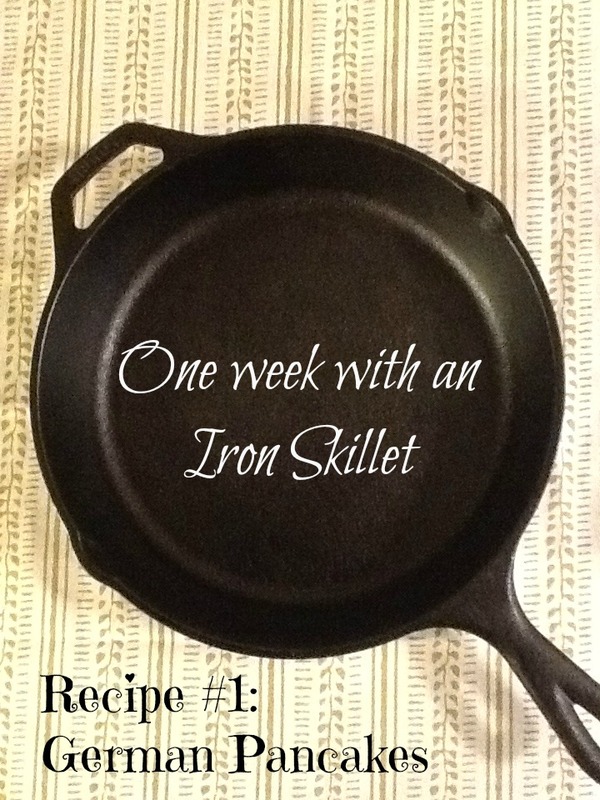 This week I will share the recipes with you that I have tried as well as some tips for using an iron skillet. Today’s recipe was German Pancakes. I have eaten this scrumptious treat before, but I have never made it. My husband was willing to be the guinea pig this morning. We thoroughly enjoyed this pancake recipe, although, as my husband said, it was really more of a dessert! The recipe came from What’s Cooking America. “Why is it a giant puffball in the corner? 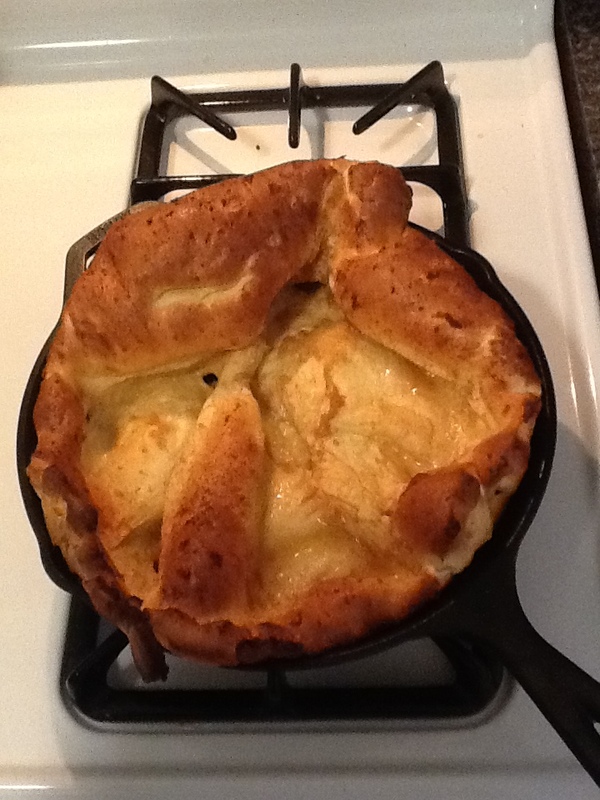 !” exclaimed my husband who has never had a German Pancake before. You can find easy instructions for seasoning your cast iron skillet here on one my favorite blogs. Be sure to open all the windows so it does not get smelly or smokey in your home.